Trip times might vary due to weather and tide conditions. 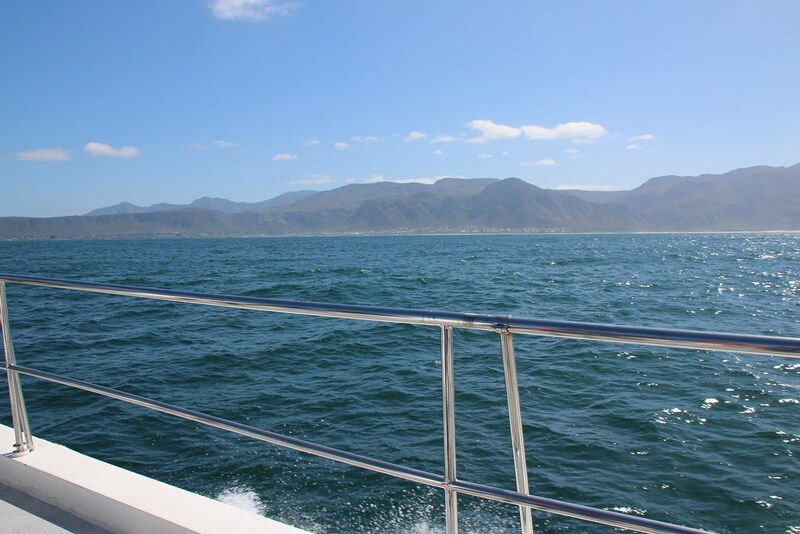 The Whale Watchers in Hermanus is a boat-based whale watching company offering an exhilarating, up-close and personal encounter with Southern Right Whales in their natural environment. Whale watching season is from June to December. Hermanus is one of the best places in the world for Whale Watching. We took our two young boys, age 3 and 7, with us on this adventure and it was an incredible experience for all. The opportunity to see this beautiful creature in such close proximity is something very special. It was privilege to have our boys experience this at an early age. 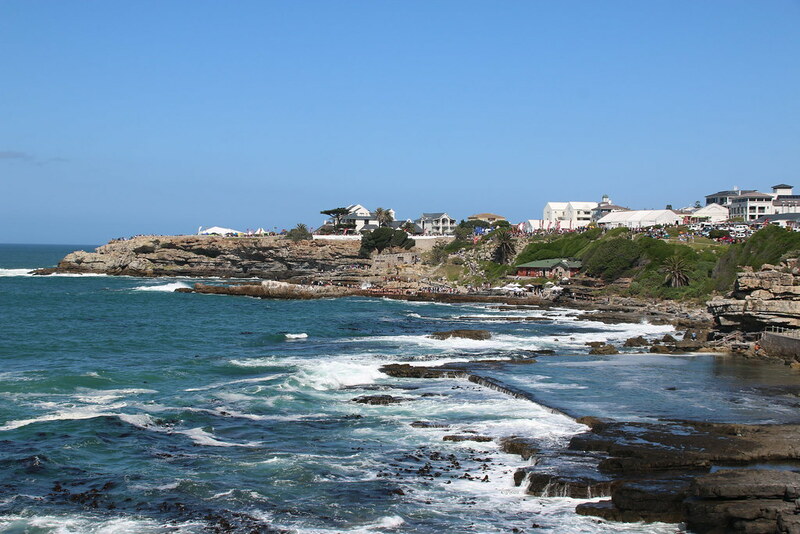 Hermanus is a picturesque town with a stunning coastline located approximately 100km from Cape Town. On arrival at the New Harbour you will meet in their office in the orange building near the entrance. Here you will be given a short briefing before heading to the boat. 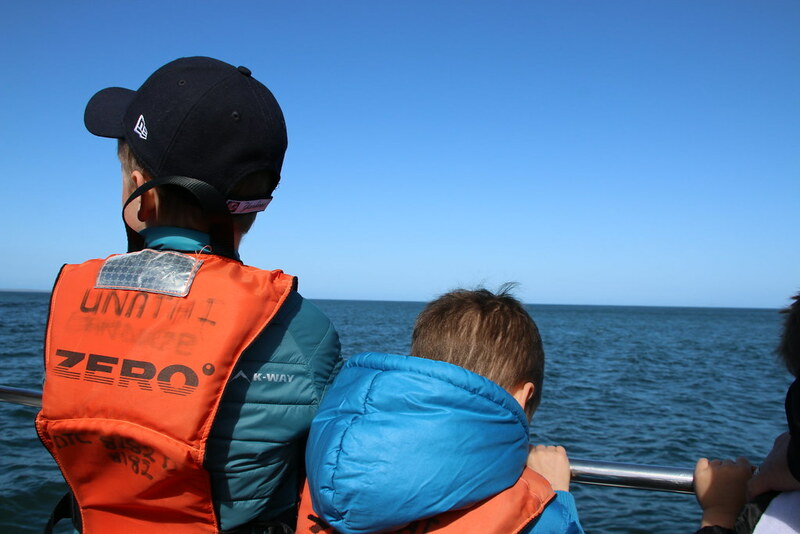 After boarding our boys were fitted with life-jackets and a safety briefing was conducted. The boat is extremely powerful and we quickly motored across the bay from the new Harbour to the whale watching site. The welcoming and knowledgeable staff made the trip enjoyable ensuring our safety and comfort at all time. You are accompanied by a SATOUR qualified guide for the duration of the trip who has first-hand knowledge about the marine wildlife of this area and informed us of the all the whale facts and answered our questions. It is easy to tell they are experience and professional from the way they quickly spotted our first sighting of whales. 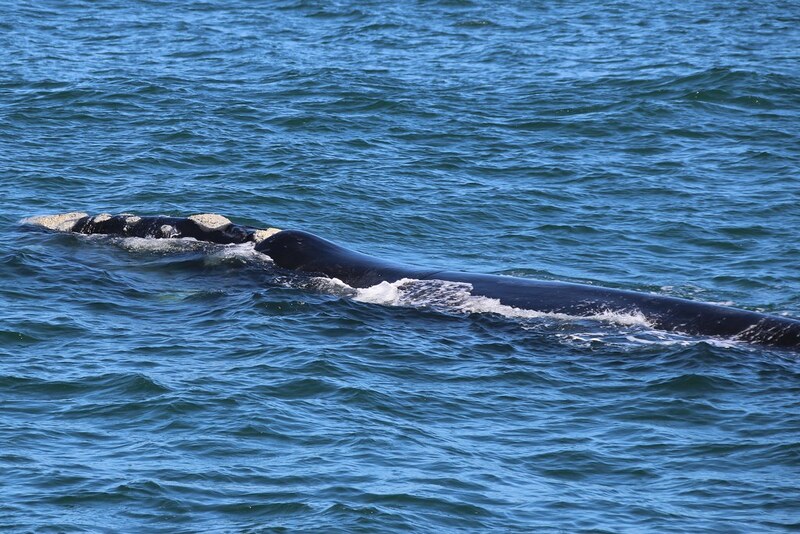 Southern Right Whales visit the Walker bay area during their annual mating and calving season, which starts with the arrival of the bulls in June, closely followed by the females. They will mate during their sojourn in the South African Cape Coastal waters. Pregnant female Southern Right Whales will be the last to arrive and the last to leave with their new born calves. Only when the calves are fit enough will they swim back to the Antarctic waters where she and the calf will feed on krill, a nutritious rice grain size crustacean. 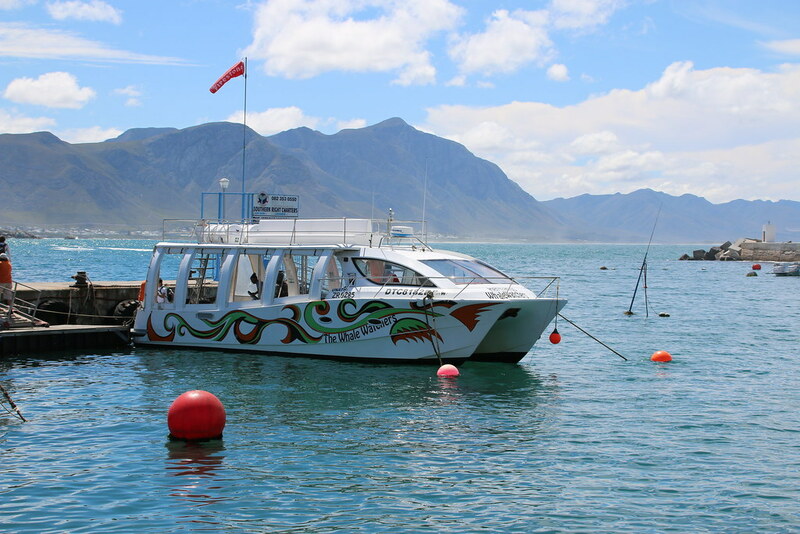 The boat has a maximum capacity of 36 people and is WHEELCHAIR accessible and CHILD FRIENDLY. Inclusions: 2 Hour Guided Whale Watching Cruise, complimentary cold drinks, water and crisps. What to Wear: Comfortable clothes and bring a Warm Jacket and beanie. Don’t forget the Camera! This is an experience of a lifetime.